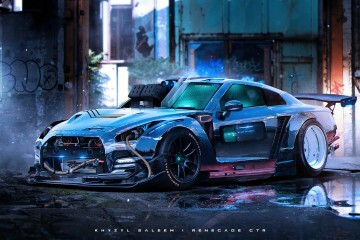 Mind blowingly amazing work by Khyzyl Saleem, a 21 year old digital artist & illustrator based in Manchester, UK. He's prolific, creating new imagery almost... Read More. 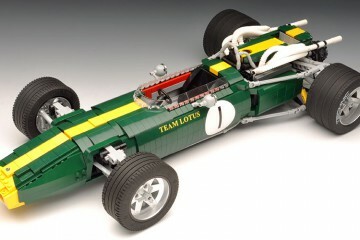 Luca Rusconi (RoscoPC) is crazy into LEGO... and F1. He's a part of the LEGO Ambassador program and uses CAD software (MLcad) to prepare virtual 3D models befor... Read More. 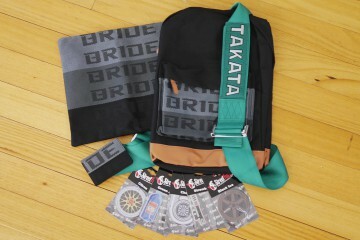 The guys from Street Factor Garage​ have sent us a care package of JDM inspired goodies. Sharing is caring so we'd like to give it all away to one of you! Th... Read More. 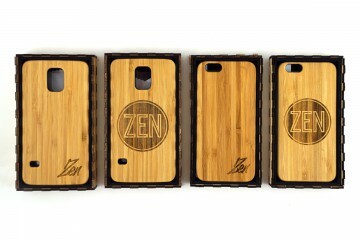 The Zen Bamboo cases by Melbourne based company Natural Aspirations were one of our fave products last year. Each one is different to the other, and lovingly ma... Read More. 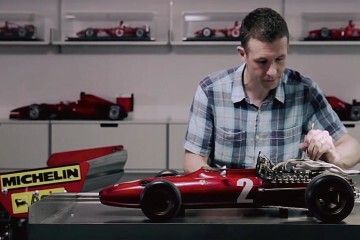 Master model maker Phillip Mitchell crafts beautiful and meticulously detailed miniatures of the world’s finest vintage sports cars. Director Frank Liew tells M... Read More. Back to the Future! 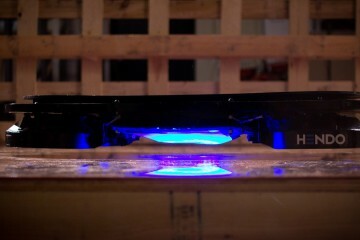 Made by Hendo and utilising four disc-shaped hover engines that create a special magnetic field generating a one-inch lift for levitation. ... Read More. 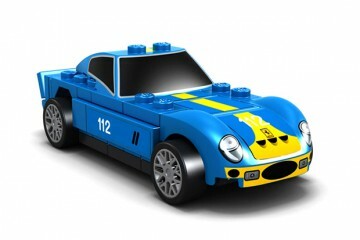 For "kids" of all ages ;) The new Shell V Power Lego Collection featuring the Ferrari F138, 250 GTO, F12 Berlinetta and the 512 S. ... Read More. Mile High Club anyone?! Check out these photos of flight attendant rest areas. We're leave the rest up to your imagination! ... Read More. 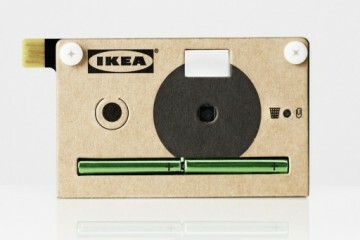 IKEA are going to release a flat-packed digital camera made of cardboard. Knäppa (“Snap”) will hold 40 photos at a time and plugs directly into your USB port. W... Read More. For the romantics out there. 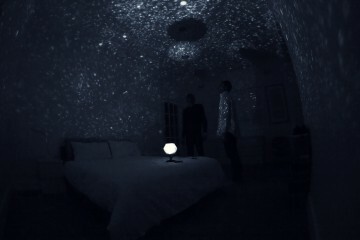 This $22 gizmo projects the galaxy onto your walls and ceiling. It’s a cheap LED powered light which you have to build on your own.... Read More. 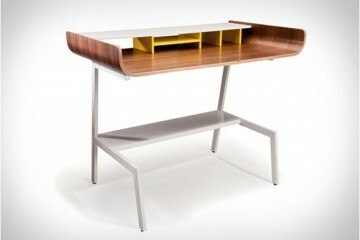 Introducing the Half Pipe Desk, quite inspired! Designed by San Francisco-based designer Eric Pfeiffer, it features plenty of storage and a shelf for a larg... Read More. 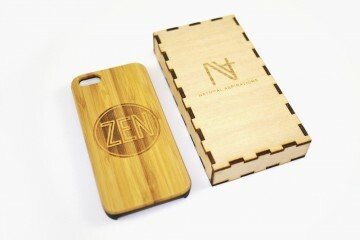 We're really excited to be introducing these new Zen Bamboo iPhone Cases by Melbourne based company Natural Aspirations. Each one is different to the other, and... Read More.